Choosing the perfect grapefruit doesn't have to carry the risk of an overly tart fruit. Not when you enjoy Double Red Grapefruit Slices from Meduri World Delights! 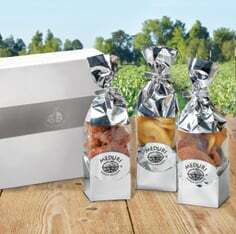 Each slice of this all-natural dried fruit offers the perfect balance of sweetness with a slight zing of tart flavor. We source our grapefruit from one of the two growing areas in Mexico and know they are always picked at the peak of ripeness. 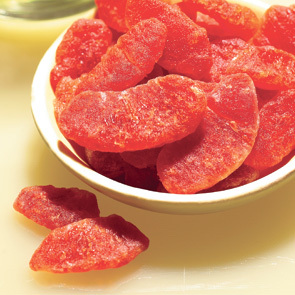 We dry our grapefruit in small batches, which makes for moist succulent dried fruit. Now you can enjoy the benefits of grapefruits slices anytime in a 12 oz. 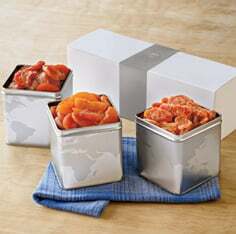 Tin with the help of Meduri World Delights!